Last week was filled with yummy food. 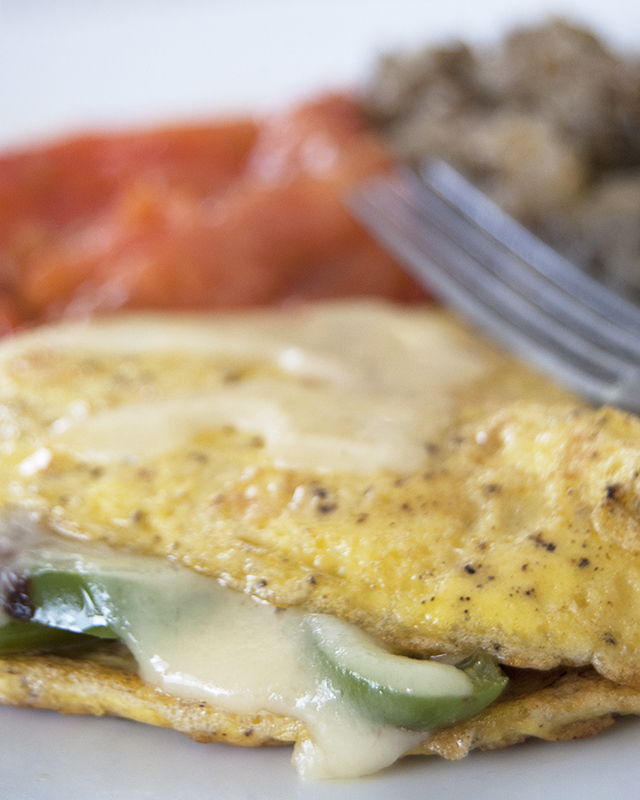 We started with pepper, onion and Swiss omelets for breakfast with a side of fried tomatoes and potatoes. 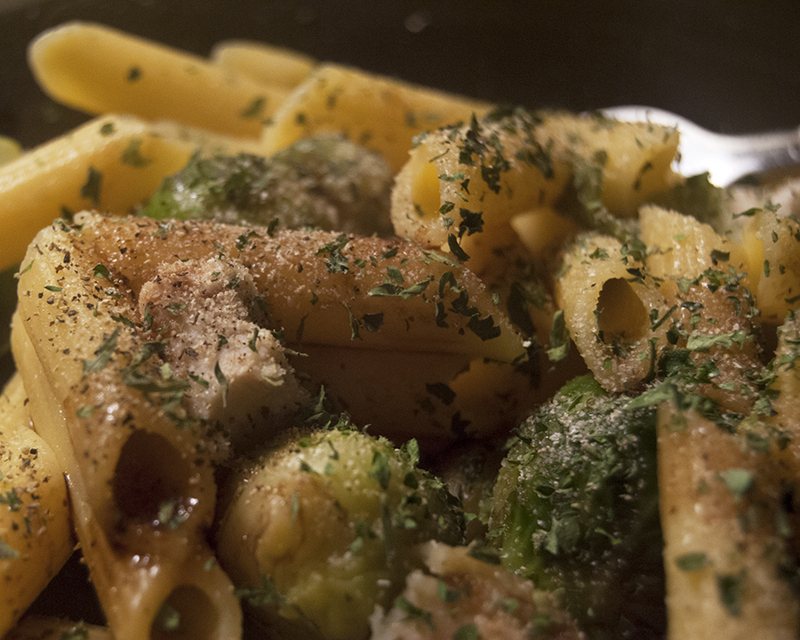 For dinner I made some pasta, chicken, and brussel sprouts, which I tossed together with some balsamic dressing and spices. And for dessert this week I decided to make a brownie cookie pie. My husband called it “the ultimate hybrid dessert.” Quite enthusiastically, I might add. There was the warm cookie, and gooey brownie (in the best way possible), and we topped it off with some vanilla ice cream. Perfect. I used this recipe for the brownie, and this one for the chocolate chip cookie. Then I layered them in a cheesecake pan (bottom lined with parchment, edges greased) and baked it until it was done. (Covering with foil about 20 minutes in.) I don’t remember the exact time I ended up cooking it for, but it was probably somewhere around an hour. We ate it straight from the oven! I can’t even begin to say how fantastic the springform pan worked for this. It allowed me to easily (and cleanly) remove the cake from the pan without any hassle. The top of the cookie layer did break a bit, but that’s just how the cookie crumbles. Enjoy! And have a fantastic week! Be sure to follow along on Facebook for more updates and recipes.